 QCP is proud to be a participant in this awesome event from Brewsogs & Fewines! Hope to see you there!! ABOUT THE EVENT: Hello friends!! We’re thrilled to announce that we will be hosting our FIRST fundraiser on October 6th, 2018 from 12-5 at Buffalo Distilling Co. This will be a fun, laid back event to raise money for all of our local rescues, and hopefully, get some more exposure for all of the cats and dogs looking for a home. Ticket price includes 1 complimentary drink and food samples courtesy of Buffalo Distilling Co. $8 from every ticket sold will go to our rescue! (be sure to select it at checkout)! We will also be featuring a 50/50 raffle and silent auction (auction items will be updated as they are received) with ALL of the proceeds going to the participating rescues. Members of participating rescues will be on site to answer any questions regarding their adoption process/adoptable pets.